Welcome to the dental office of Brent A. Spear, DDS. Our mission is to establish and grow a relationship-based practice, considering each patient as an integral part to the whole; while providing the highest quality of care in both compassion and product. We are committed to providing you and your family with quality dental care. 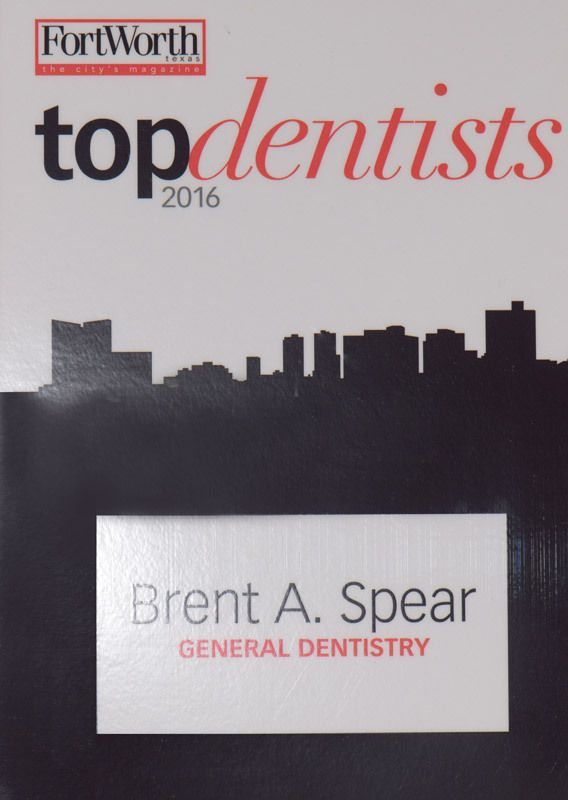 Dr. Brent A. Spear, our experienced dentist, leads our dental team in working diligently to ensure that we are treating you as a person, not just your mouth and teeth, for a truly personalized dental experience. Together, we will create a treatment plan that suits your individual needs and goals. Among the wide variety of dental treatments we offer are general, cosmetic, and restorative dentistry, and much more. Located in the heart of Fort Worth, Texas, our dental office is comfortable and relaxing. We strive to help you and your family feel like you are in good hands as you visit us and are treated by our helpful staff. By combining outstanding patient service with advanced dental technology, such as cone beam computed tomography (CBCT), we hope to offer you dentistry that will transform how you feel about visiting the dentist. For almost four years, we have proudly served Fort Worth, Texas and the greater Texas area. We love welcoming new patients to our dental family, as well as continuing our tradition of family-friendly, quality care for our established patients. Give us a call today to learn more about how we can benefit your smile and to schedule your appointment. We are grateful for the chance to take care of your smile!